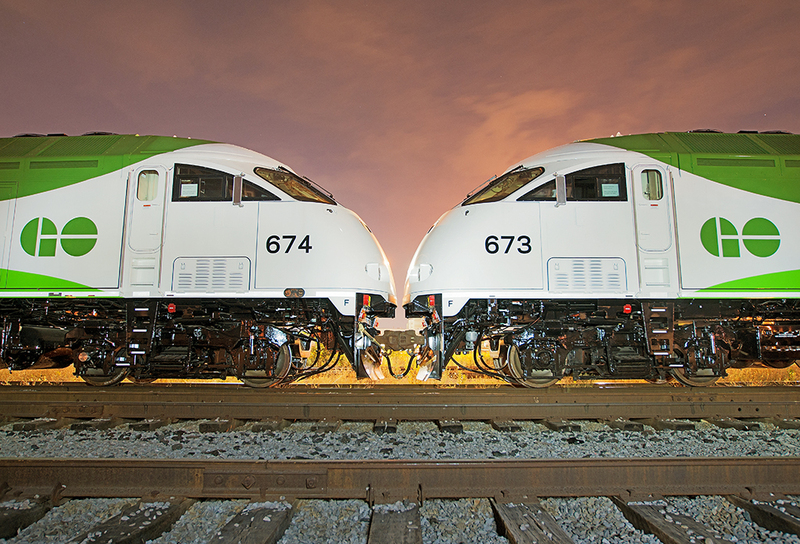 Railpictures.ca - Michael Da Costa Photo: Sitting at Mimico Yard for final delivery into Willowbrook, a pair of consecutively numbered MP40PHT-T4AC’s await. | Railpictures.ca – Canadian Railway Photography – photographie ferroviaire Canadienne. Caption: Sitting at Mimico Yard for final delivery into Willowbrook, a pair of consecutively numbered MP40PHT-T4AC's await.